In today’s online world, you can’t get away without visuals anymore! Websites, marketing content, company logos or apps; if the visuals are not compelling, the value of your product is compromised. Visuals catch attention and are easily remembered. More often than not, they are the first chance at impressing a potential customer and holding their attention for as long as possible. That’s why so much attention is paid to the work of graphic designers these days. The industry is growing with its demand and with the ever growing demand of the work of graphic designers, the number of graphic designers popping up is skyrocketing as well. So what do graphic designers do? Graphic designers take the vision of their client and bring it to life using visual communication. Graphic designers use illustrations and text, to create visual compositions, but most of all graphic designers solve problems! People use graphic designers to pull an idea out of their head and into the real world. Graphic designers can help you take that idea or concept and put it in front of people in an attractive way, communicating effectively and giving the result that you are looking to achieve. Graphic designers use the concept of line, space, colour, type and form to create anything that the mind can imagine. One of the cool things about graphic design is that you don’t necessarily need to go to University to become a great graphic designer. Of course, a degree in graphic design from a University is going to give you a huge advantage if you can attain one. But with the development of some amazing design tools, that make the design process so much easier, as well as the thousands of blogs and graphic design courses available today via the internet, now is probably the best time ever to embark on a career in graphic design. It’s not easy to go the “self taught” route, but with hard work, dedication and a passion for design you can get there. If you want to work in graphic design and eventually become a famous graphic designer, first of all you’ll need to learn the fundamentals. This self study course can help you nail them. Another course that’s useful when you are starting out is Color for designers by Richard Mehl. Make no mistake though, just because it’s easy to embark on a career in graphic design, it doesn’t mean it’s easy to master it. To become a famous graphic designer will likely take years of hard work. But don’t worry you can get plenty of inspiration from the famous graphic designers that we list in this post. We couldn’t create a list of the most famous graphic designers of 2019 without paying homage to some of the famous graphic designers of all time! Those pioneers who blazed a trail for those today. The graphic designers who inspired the current crop to pursue careers in the field. To be honest, this list of famous 20th century graphic designers could have went on forever. It was probably worthy of being a whole other post in itself, so I’ve kept it short and sweet to give you enough inspiration before you get to the 2019 list. So where should you look for inspiration for your own works? Which are the ones you should keep your eyes on? Look no further! We’ve compiled a list of some of the world’s most famous graphic designers so that you can follow them on social media and maybe even get some inspiration for your next graphic design project! 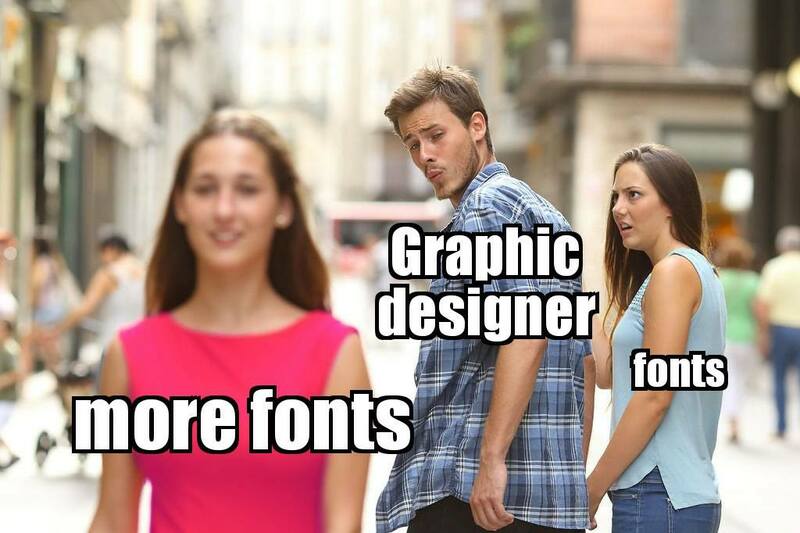 There is a ton of graphic designers on Instagram, Twitter and every other social network. We selected the best of the best for you to give you your daily dose of inspiration. Anyone on this list brings their own unique approach to graphic design to the table and their work will amaze you! We have spared neither cost nor effort to find the best graphic designers in all areas of the craft. The selection we share with you in this post is a great representation of this amazing industry. Inspired by the pros? Take the first step towards creating your own amazing designs with Design Wizard. Choose from 1000’s of stunning templates, then simply edit and share. Inspired by the pros? Take the first step towards creating your own amazing designs withDesign Wizard. Choose from 1000’s of stunning templates, then simply edit and share. As one half of the New York City’s renowned Sagmeister and Walsh, Jessica is a designer that sees A-List clients such as Jay-Z and Levis vying for her design skills on a daily basis. Her designs are retro and vibrant and carry heavy influences from the 1950s. Think Mad Men, with a pop of colour. To list all of the titles that this influential designer holds would take us all day. His deep love of typography and traditional print elements are clearly illustrated within his social media postings. Although he is not active on Instagram, Jason’s Twitter account is a great peek into the mind’s eye of a brilliant graphic designer. The other half of the previously mentioned Sagmeister & Walsh, this Austrian designer counts The Talking Heads and Lou Reed as personal friends and clients. When compared to the bright work of his business partner, Stefan’s design style is minimalist and uses a more neutral colour palette to create amazing designs for an amazing variety of clients. Take one look at Steven’s out-there Instagram feed and you’ll see why he is hailed as “the leader of a contemporary Californian psychedelic-pop aesthetic”. His design style engages and distorts the viewer’s perspective and creates amazing talking points, whether they are on the side of a shoe or a traditional canvas. David’s bright designs often marry mould-like designs and eye-catching animation with everyday photography. His razor-sharp humour and years of design experience result in an Instagram account that is sure to provide a good pick-me-up if not major design inspiration.If you’re looking to learn from a famous graphic design that isn’t afraid to use bold colours, David is your guy. One of ‘Today’s Most Influential Graphic Designers’ by Creative Bloom, Lauren’s whimsical yet engaging typography fills (or rather ticks) all the Instagram boxes of her account. Take one glance at her feed and you’ll see why clients like Starbucks, Google and TIME Magazine are scrambling to get her intricate typography included in their campaigns. This influential designer, art director and lettering artist has all the multinational acronyms flocking to his door. MTV, HBO, CNN…you name them and he’s worked with them. David’s raw style of typography draws on traditional and digital methods to create eye-catching designs for clients which he gives his followers the treat of seeing through his social media postings. Since opening his own studio (No Studio) at the age of 18, Chuck has clients such as ESPN, Vans and Nike grappling to get their hands on his design expertise. His vibrant designs are a perfect illustration of how to be a graphic designer in the modern world. Each design draws on real-life, in the moment photography that catches the hustle and bustle of everyday life. Lotta is a contemporary graphic designer, originally from Helisinki who has now set up roots (and a design studio) in the Big Apple. Her graphics and illustrations show her Nordic roots but with a pop of colour that is unmistakably inspired by all things floral and plant-based. Come to her Instagram for the graphics, but you’ll stay for the interior design inspiration! A graphic designer, illustrator and letter from Manila in The Philippines, June uses water-colour and pencil drawings to create a colour-gradient posting system on her Instagram. If you’re looking for graphic design courses on the art of water-colour then all you need is to watch her timelapses in order to learn from a pro! Eclectic, influential and never one to stick to the status quo, Leta is a graphic designer that is all about embracing the quirks to create unique designs for her clients. Leta’s Instagram account is the perfect showcase of her larger than life personality and creative mindset with outrageous shapes and colour combinations being the norm throughout her feed. Luke is a famous Austrailian graphic designer than gave up a life down under to embrace the design influences of good old America. His studio, Velvet Spectrum now works out of Portland, Oregon and is all about the art of storytelling through visual design. Luke’s designs are unapologetically colourful and incredibly on-brand when it comes to visual storytelling. What started as a chalk illustration at a housewarming party has just Dana into an internationally recognised and influential graphic design artist who has captured the attention of Google among many others. Her distinctive style of lettering and typography is full of bring and floral elements which have even found their way to the cover of O Magazine. If you’ve ever found yourself at a Deadmau5 concert, then Joshua’s Instagram feed may strike you as familiar. Joshua doesn’t confine his art to the page and often favours the concert stages of world-famous artists to showcase his work. His designs use “hardware and software to create algorithmic image making” which results in his futuristic almost extra-terrestrial design style. Best known for his text-based designs, you can find some of Will’s pieces on permanent display in the Victoria and Albert Museum and the Cooper Hewitt Smithsonian Design Museum. Anthony’s designs are a welcome addition to anyone’s Instagram feed; whether you’re looking to advance your graphic design career or just appreciate a good piece of art. Anyone who is a fan of Comedy Central’s Broad City will know Mike’s distinctive style of design from their ‘Mushrooms’ episode and psychedelic logo. Not only did this place him on the Emmy Awards’ stage as winner of the ‘Motion Design Jury Award’, but also means his memorable designs are known the world over for their eccentric illustrations and colours. As the son of two artists, all roads were leading to the world of graphic design from the day Tad picked up his first pencil. He now runs Carpenter Creative, a studio he set up with his partner and has now turned his hand to amazing illustrations for over 20 children’s books and concert posters. This “professional goofball” counts not only Nickelodeon and Converse, but The White House as his past and present clients. His designs may draw your mind back to Saved by the Bell’s signature opening credits but rest assured, Will’s designs are work of incredible originality that you won’t want to miss. Rob, who designs under the name Supermundane, is a famous graphic designer who is fully immersed in all things graphic design – even going so far as to live in an exclusive artist’s community on Havelock Walk. Rob’s design style is funky and defined with publications such as Anorak and Fire & Knives commissioning him to illustrate for them. From the hub of imaginative art in Barcelona to the mean streets of New York City, Alex is another famous graphic designer that is constantly pushing the boundaries when it comes to creating designs with outrageous shapes and colours. His art is a personal favourite of Katy Perry which resulted in Rob creating the cover for her chart-topping single, Roar in 2013. Jennet’s raw style of design is showcased brilliantly in every post on her Instagram account. Her choice of texture and flawed brush marks make for incredibly eye-catching creations and don’t just take our word for it. Her designs have even gotten the HarperCollins stamp of approval. Everything Jennet creates is brilliantly handcrafted and a welcome addition to any feed. Debbie is an influential graphic designer that eats, sleeps and breaths branding. So much so that she co-founded the world’s first ever graduate program in branding at The School of Visual Arts in New York City! Anyone looking to advance their graphic design career should keep a close eye on her Twitter feed where she posts update on her podcast, Design Matters. Kelli is all about working with, and creating “simple things that don’t behave as expected.” Staying inside the lines and normal design constructs just doesn’t fall into Kelli’s design M.O. and one look at her Instagram feed will show just how amazing the results can be when you push the norms can be when it comes to graphic design. The motto of Pavlov Designs is “design without borders” and with a quick scroll through their Instagram it’s clear to see that’s a motto they take great pride in sticking to! This unique take on design has seen Calvin pack up his things to open a studio in Amsterdam to be closer to Pavlov Design’s European clients while his business partner run the ship in Dallas! David set up his studio in 2005 with a mission to create amazing logos and visual identities for clients across the globe. Since then his designs have been used by Billboard, The Hollywood Reporter and Coors to name just a few brands that have turned to him in their search for an upgrade to their branding needs. This Italian graphic designer uses humour and thought-provoking perspectives to create colourful illustrations for the likes of Ikea and MIND Magazine. His Instagram account is a testament to his ability to create evocative designs that rely a sometimes evocative, all of the time eye-catching messages to his followers. Rachel is a journalist turned illustrator who uses pastel colours to create refreshing designs as part of her studio, Gold Pony. Her design style is feminine with clear tarot card and bohemian influences. She often layers illustration on top of cropped photography to create designs that would be a welcome addition to anyone’s public or personal art gallery. Having recently rebranded from Harley Quinn and Co. to The Darling Assembly, Erin’s Instagram account has a pastel pink colour palette that can’t be missed – especially if you’re a “lover of all things handwritten” like she is. As a busy mom to baby Leo, Erin runs The Darling Assembly as a part time graphic design business for clients that are looking to create appealing branding for their customers. Louise founded her graphic design company in 1989 in order to give speciality food businesses the edge they need to capture the hearts (and stomachs) of their customers. Her Italian-American heritage means that her designs can transport the viewer to New York City and Florence in one sitting and are a great source for anyone looking to learn more about graphic design. Alex is a Brooklyn-based graphic designer that oozes that New York art scene cool. Having speer-headed numerous design campaigns during his time at The Coca-Cola Company, Alex decided to set out on his own and set up his own design company called CENTER in 2017. Along with photographs of his public speaking events, Alex often posts exciting graphic projects he’s been working on. If you’re a street artist looking to learn how to be the best graphic designer on the mural scene, then Ben Johnson is a must-follow designer on social media. His handcrafted approach to large-scale typographic projects means that he has been commissioned to create pieces from Cape Town to Toronto and everything in between. Sergi’s surrealist style of design marries the beauty of nature with “the perfection of geometric and mathematical forms” and the results are breathtaking! Currently based out of his studio in Barcelona, Sergi’s designs can be found dotted across the various shop windows of El Gothic and further afield. His designs are psychedelic and eye-catching and are sure to give any graphic designer inspiration for their next piece. This famous graphic designer combines historical and modern elements to create his trademark style which can be clearly seen with one glance at his Instagram account. A lover of retro hardcover books, you could imagine L. Frank Baum enlisting Riley’s typography skills if he were around in the days of The Wizard of Oz’s early publication. Once the mastermind behind Form Fifty Five, Glenn has since rebranded the company with Jack Daly to create Made by Folk – “a marketplace & showcase of creative work from across the globe”. Their Instagram account showcases not only their own brilliant work, but the work of a growing number of collaborators from across the globe. It’s a must follow for anyone looking for design inspiration. While her name may not ring any immediate bells, her designs sure will! As Wes Anderson’s designer of choice, you can find her artwork scattered throughout The Grand Budapest Hotel, Isle of Dogs along with numerous TV shows. Her Instagram account gives followers a fascinating glimpse into the world of a globetrotting and influential graphic designer and is sure to give you graphic design envy! Jérémy and his partner Violaine make up the Parisian design powerhouse that is…you guessed it, Violaine et Jérémy! Their designs draw on inspiration from typography and illustrations of the art nouveau era and their joint Instagram account includes a wide variety of print designs; each more eye-catching than the last. Best known for his colourful travel posters, Alex’s Instagram account is a must-follow account for graphic designers and travel enthusiasts alike. From the skyline of Beijing to the historical horizon of Angkor Wat, Alex churns out amazing depictions of iconic places around the world. Check out his Instagram to see if your hometown made the cut! What started as a hobby in 2009 quickly turned into a lucrative graphic design career for Viktor Hertz. The posts vary on his feed from witty commentaries to more detailed commissioned pieces but if you’re looking for proof that a hobby can turn into your lifelong career, then look no further! Co-founder of Young Jerks, Dan’s Instagram feed is a great glimpse into the life of a famous graphic designer, new dad and overall creative visionary. His style of typography and illustrations are reminiscent of 20th century, midwest Americana and is definitely worth checking out if you’re looking for some logo inspiration. Neil is a tour de force (pardon the pun!) when it comes to finding your design niche and sticking to it – which in this case is cycling! His trademark vintage-inspired cycling posters and stamps are colourful and quirky. Each poster is carefully crafted to encapsulate the town or city from which it takes inspiration and is a great conversation starter in any gallery. David’s experimental style of design paired with his laid back surfer attitude means that his Instagram makes you feel one step closer to the set of Point Break. His collage style of graphic design is raw and evocative so it’s no wonder he’s made our list of famous graphic designers! Mike founded his creative design studio, MISTER in Fife in 2004. Since then Mike has worked tirelessly to solidify his place as one of Scotland’s most influential graphic designers. Both Mike and his team’s design styles are incredibly modern but they never forget to throw in the curveball of an occasional vintage-inspired post. Nicholas’ graphic design style evokes a rustic, midwest vibe and have captured the eye of award-winning musicians such as Ray LaMontagne, Josh Ritter and Dave Matthews Band. As you can expect from a designer who specializes in artwork for Americana’s elite, Nicholas’ Instagram transports you to the small towns of America to crack open a bottle of Blue Moon (who he has also designed for). Book cover design extraordinaire, you may be familiar with Rodrigo’s influential designs which adorn the cover of John Green’s bestselling book and follow-up movie, The Fault in Our Stars. And if that doesn’t ring a bell then, take one look at his Instagram to see if you can spot one of your current bedside books on his feed. Cass’ art is all about the heart! Her work is a mix of “modern design, abstract watercolour illustration and hand lettering” all crafted with the help of a paintbrush or pen. The pastel shades which light up her Instagram account are fresh yet warm and are sure to brighten up your feed once you hit the ‘follow’ button. Yael is a product design specialist and UX designer quiet unlike any other influential designer we have on this list. UX may not be the first thing that pops into everyone’s mind when it comes to graphic design but some would argue that it’s the most widely used aspect of modern day design in today’s world! As the Art Director of The New York Times Magazine, Matt showcases the hustle and bustle of New York City life in both his photography and graphic designs. If you’re a designer looking to gain inspiration from the best, then Matt is definitely a famous graphic designer that you need to follow on social media! Screenprinter, graphic designer and now lecturer, Dan Mather is an expert in traditional screen printing. This raw style of graphic design has never wavered and his Instagram feed is the ultimate homage to the age old artform of screen printing. But don’t let this the word ‘traditional’ fool you. Dan’s designs are sleek and polished and would put even the most modern design software to shame! Shavivalini is a Copenhagen-based graphic designer and illustrator currently working for Supernova Design. Her bright and psychedelic style of illustration is evident in every part of her social media, and each design has so many eye-catching elements that you’re sure to get some inspiration for your next design project. If you’re a lover of retro graphics with a modern twist, Ryan’s Instagram account is sure to be a welcome addition to your following list. A Kansas City man now embracing the San Francisco design flair, Ryan works at Stout Design and spends his days creating amazing designs for brands both big and small. As the Director of Aardman Animations, this Bristol-based graphic designer is constantly churning out amazing works of art for clients of the studio. His Instagram is a catalogue of all his passion and professional projects – from animation to family life and public speaking. Tom is a Eisner & Harvey Award nominated graphic designer and Creative Director of POSSIBLE. When it comes to this man’s accolades, the list goes on! He’s one of the top 100 designers working in the UK according to The Drum and has none other than DC among the many names on his client list. Currently working as a designer for Jacknife Design in Toronto, Lucas is a self-proclaimed “typoholic” that made it onto our list of famous graphic designers for the wide variety of designs that he churns out on a nearly daily basis! His intricate style of typography is edgy, engaging and mostly importantly, eye-catching. Richard runs Skinny Ships with his business partner, Jennifer DeRosa. Their Instagram feed is heavily dominated by bright colours and shapes with Richard’s love of video games becoming very clear and you delve deeper into their posts. Kristian is a brand developer, art director and visual designer based in Vancouver. Along with co-founding ZAK (a brand design studio), Kristian has an incredible talent for creating exciting designs that are filled with colour yet manage to never take away from the focal point of the design – the client’s product. Radim is a Czech native who started his adventures in London with a love of music. His creative passions have led him to create a lucrative graphic design career in South London. His choice of colour palettes catches the eye of every follower and his 3-dimensional designs are equally engaging whether done as part of a product’s packaging or the perfect backdrop for a high-fashion shoot. Nicola’s account is the perfect place of refuge for anyone looking for inspiration for their next journaling project. She also uses a colour gradient system to post her ideas so if bullet journaling wasn’t appealing enough, you’ll get a creative sense of satisfaction by looking at the detail that goes into every post and creates an overall amazing Instagram account. If you take one look at Daniel’s Instagram, you’ll see that he leads with the word “aesthete” and an aesthete he most certainly is. Along with being an art director Daniel also designs for Urban Outfitters and Adobe but stand out work from Daniel’s graphic design career have to be his incredible animal and human portraits. Irene set up Magnolia House Design in 2014 with a goal to have more fun at work, and if her designs are anything to go by, we would have to say that she has definitely achieved that goal. As a graphic designer, Irene’s work is elegant and floral and it’s clear to see that she has a deep passion for all things graphic design. Karlie, the mastermind behind Fika Studios is one of Melbourne’s most famous graphic designers. Having completed a degree in which her major was interactive and visual design, she set out to put everything that she learned to the test, with amazing results. The neutral base of her Instagram feed provides a calming escape and contrast to some of the more psychedelic designs mentioned in this list. Our next graphic designer gets his design inspiration from “the American West, road trips and pizza”. There is an authenticity that is inherent in all of Sam’s designs and if you’re a lover of nostalgic Americana artwork, then his account is not to be missed. Jessica’s custom lettering work has caught the eye of heavy-hitters such as Etsy, Pinterest and UNICEF. Her Instagram account is the ultimate homage to the art of lettering and with a sprinkling of personal pictures throughout her account, it’s a great glimpse into the world of a famous graphic designer. Interior walls, buildings, packaging, cars – you name it and Timothy’s art has decorated it. ‘Organised chaos’ is the best to describe his style of lettering and illustration but in the world of art, that is a high accolade especially when you take a look at his awe-inspiring designs. An electrical engineer with a passion for calligraphy. Two things you probably wouldn’t put together on a normal day but Tolga’s Instagram feed is a must-visit destination if you’re an artist looking to brush up on the art of calligraphy. While the images that he posts are beautiful, it’s his videos that are the focal point of his account. Diego, also known as The Fantasy Researcher, combines ordinary and amazing things into works of art through the careful addition of handcrafted drawings. Ever pictured Ned Stark sitting the Iron Throne…made out of french fries? Well thanks to Diego’s quirky take on graphic design and his Instagram account you don’t have to! As you should all know by know, we’re pretty big fans of Pantone at Design Wizard, but Lucy puts us to shame with her colour matching obsession. On top of creating amazing content for her employer, Allbird in San Francisco, Lucy posts everyday posts in which she arranges “things by color with #pantoneposts”. Jon’s trademark designs and mission of his studio, CONTINO, is “defined by his humanity” and drive to create memorable branding that the world can relate to. His designs are reminist of the old school tattoo style and his “no limits” attitude can be clearly seen within all his work. As the head of Lazy Eye Studios, a design studio that specializes in bizarre motion and 3D imagery, Daniel is a graphic designer who is all about creating graphics that add depth and draw the viewer’s eye into the image. We don’t see the world in 2D and Daniel believes we should view our creativity in that way either! Chris’ Instagram account is every car-obsessive dream! He’s all about exploring “the intersection between typography, architecture, product design and visual art” which means Chris has worked with brands such as Porsche, Jaguar and McDonald’s to create amazing designs. His posts often distort real-life situations to showcase his 3D effect designs. As the co-founder of Friends of Type, as the name suggests, Erik is all about bold lettering and typography. He marries street art influences with eclectic colours to create eye-catching urban pieces that are fit for marketing campaigns across the globe. Frank’s mood board inspired graphics draw on incredibly detailed photographs and drawings to create amazing results. With an extensive portfolio of interactive, editorial and branding projects, Frank is a designer that is not to be missed if you’re looking to see the creative process in full swing on his social media. If you’ve had a chance to pick up a copy of Entertainment Weekly’s issue that showcases the revival of A Star is Born then you’re already familiar with the work of Joshua Noom. He has a flair for incredibly detailed illustrations that by his own admission combines design with “an organic sense of typography”. Not only is a maker of awesome designs but also has thrown his hat into the ring of creating hilarious new job titles. Mikey classes himself as a part-time illustrator, part-time designer which when you put them together makes him a “designy illustrator”. He works 2 days a week on Last Week Tonight with John Oliver and his account is the perfect example of life as an over-achiever. Anthony’s trademark designs shows his quirky style of typography that translates from paper to canvas with expert precision. If you’re a street artist looking to hone your typography skills then you’re sure to learn from the best by following Anthony on social media. Never one to confine himself to one overarching style, Tobias turns his hand to a wide variety of lettering styles and nails them every time. With clients like Netflix, YouTube and Comic Relief calling in his expertise, Tobias’ social media account is a great resource to have in any artists arsenal.